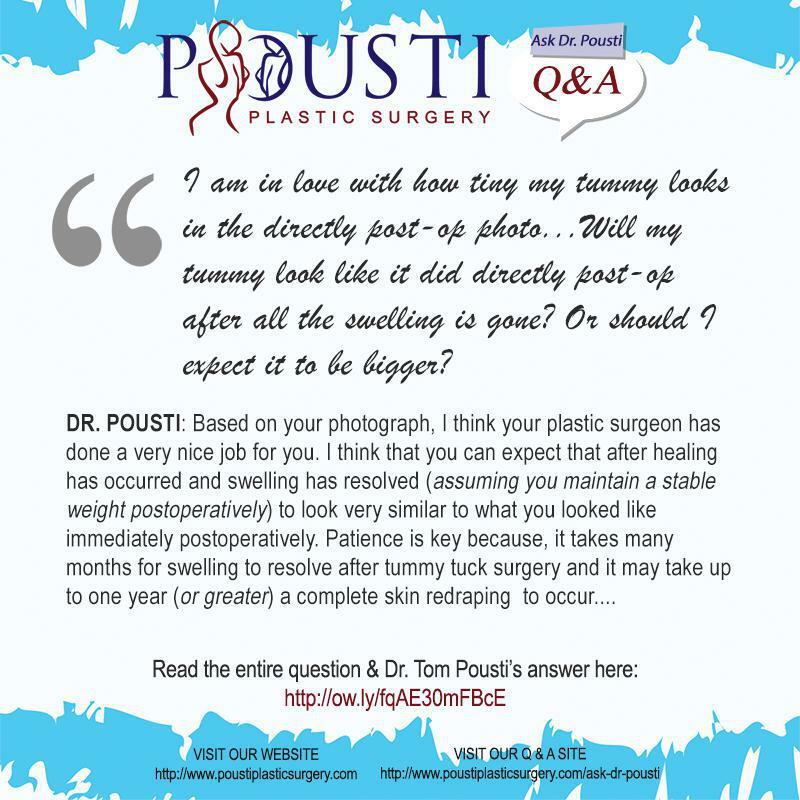 Pousti Plastic Surgery Blog Q&A: WILL MY TUMMY LOOK LIKE IT DID DIRECTLY POST-OP AFTER ALL THE SWELLING IS GONE? 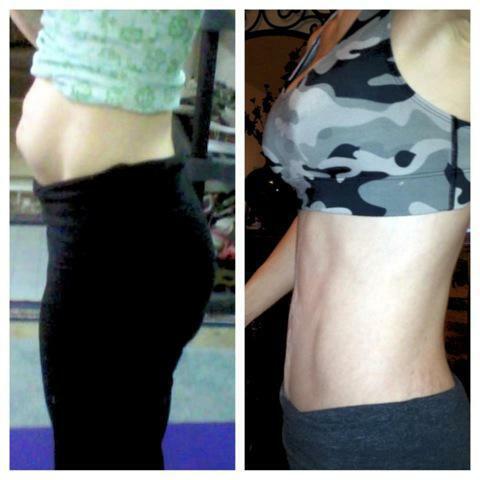 "I am in love with how tiny my tummy looks in the directly post-op photo. 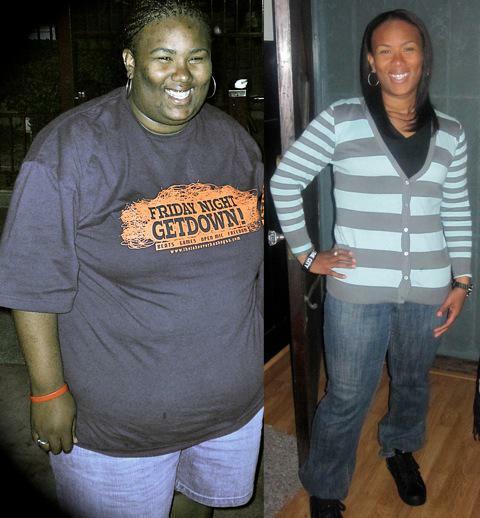 After reading many reviews I am getting scared that I won’t be that small when the swelling is gone. I am staying positive, but I can’t help but wonder and worry. It doesn’t help that I seem to have blown up with swelling!" DR. POUSTI: Tummy Tuck Final Results? Thank you for the question and picture. Based on your photograph, I think your plastic surgeon has done a very nice job for you. I think that you can expect that after healing has occurred and swelling has resolved (assuming you maintain a stable weight postoperatively) to look very similar to what you looked like immediately postoperatively. Patience is key because, it takes many months for swelling to resolve after tummy tuck surgery and it may take up to one year (or greater) a complete skin redraping to occur.